A Glasgow MP has launched an appeal for toy donations for a local food bank in the run up to Christmas. 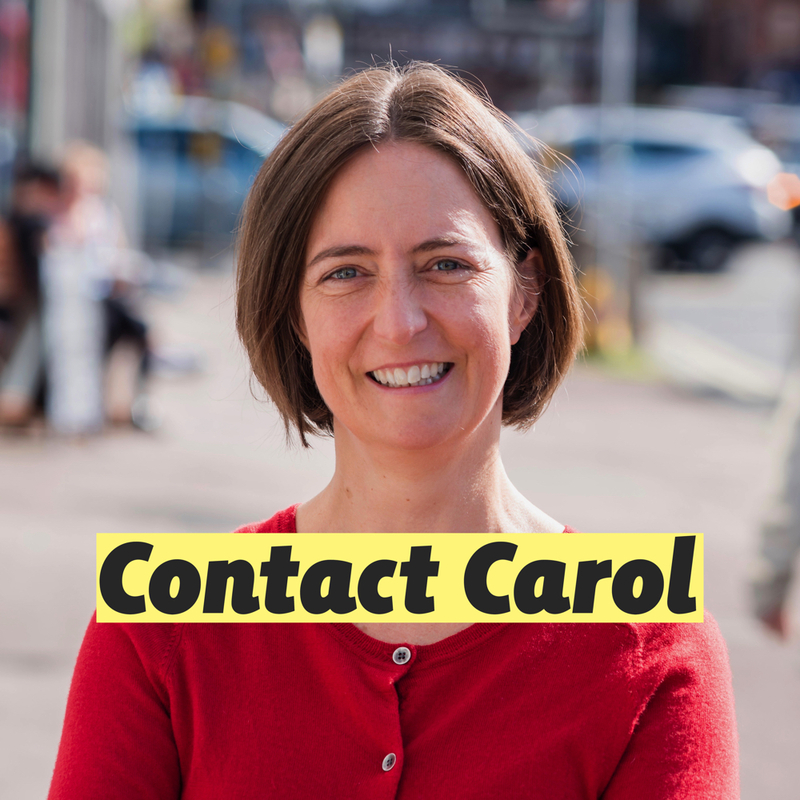 Carol Monaghan MP is bringing the Glasgow North West Toy Drive back for a second year to support those struggling the most this Christmas. Following the response to last year’s appeal, the MP is again taking donations of new toys for the Glasgow North West Foodbank. These can be dropped off before December 13 at Monaghan’s constituency office at 500 Dumbarton Road, Glasgow, G11 6SL or at any Trussell Trust collection point. The Trussell Trust, who run the Glasgow North West foodbank, have reported a 15 per cent increase in foodbank usage in Scotland since 2017. They have warned that the roll-out of Universal Credit and the five-week minimum wait for first payment of the new benefit is plunging people into hardship. Both Jobcentres in the area will have been moved onto Universal Credit by the start of December. In October, Monaghan presented a petition to the House of Commons on behalf of constituents, calling for the rollout to be halted. “Facing Christmas with little or no money and struggling to make ends meet is, sadly, the reality for many. 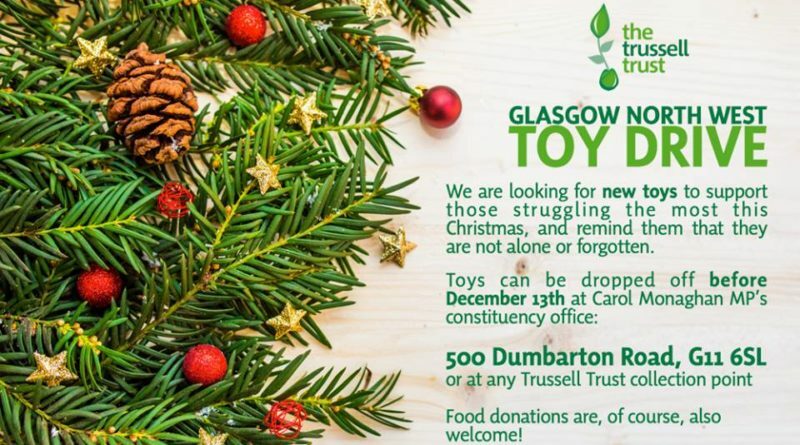 “Following the fantastic response to last year’s Glasgow North West Toy Drive, my office will again be taking donations of new toys for the Glasgow North West Foodbank to help support those struggling the most this Christmas and remind them that they are not alone or forgotten. “These can be dropped off before December 13th at my constituency office, 500 Dumbarton Road, G11 6SL or at any Trussell Trust collection point.